Here are some of our most current research projects. If you would like more information regarding these projects or any of our past reports please feel free to contact us. Oranga Taiao, Oranga Tangata (OTOT) is a collaborative research project, which looks at developing knowledge and tools to support whanau/hapu/iwi towards co-management of estuaries. The project is based in Tauranga Moana, and aims to investigate how Matauranga Maori can inform co-management. The project also hopes to utilise past and present data sets to build tools, and information systems which will assist in better understanding complex estuarine systems, and to support Kaitiaki in co-management planning and decision making. In October 2015, the proposed Port of Tauranga dredge programme began. As a consequence of the harbour dredging and as part of the Kaimona Restoration Plan (TMICFC, 2015) a kaimoana monitoring programme was developed. A component of the program focuses on the culturally significant pipi bed, Paritaha. This project aims to utilise cultural and ecological indicators with the hope to detect any significant changes to Paritaha, as a result of dredging. 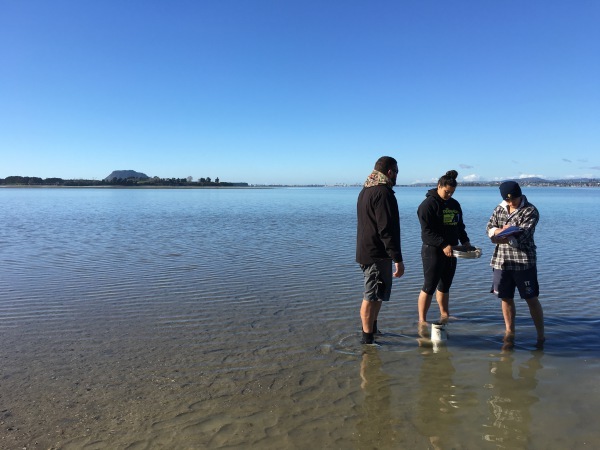 The principle purpose of this research project is to investigate shallow sub-tidal shellfish populations in the Northern Tauranga Harbour, specifically, tupa (scallop) kukuroroa (horse mussel) and kutai (green lipped mussel). This project will be hāpu/whanau lead and will be situated in the northern area of the harbour (Katikati through to Otawhiwhi). The project will involve a number of wananga, mapping exercises, ground truthing, and collective planning for management of these fisheries into the future. During the preparation of the Kaimoana Restoration Plan (TMICFC, 2015) it was decided to use pipi in the dredged areas to investigate the potential for enhancing or reseeding pipi in the Tauranga Harbour. This project saw pipi moved from the dredge areas to three trial sites. Monitoring of these areas will continue into the future.